Several dozen people took to the streets in the Russian city of Astrakhan to express solidarity with former mayoral candidate Oleg Shein, who is on hunger strike pushing for a review of the city’s recent election. 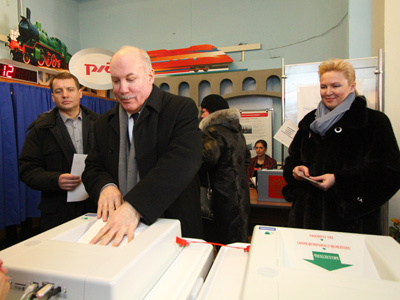 The member of the leftist party Fair Russia was running in the city’s mayoral vote on March 4. Official results showed that Shein lost to United Russia candidate Mikhail Stolyarov with roughly 30 against 60 per cent of votes, but Shein’s election team then announced that the poll was held with numerous violations. Shein’s supporters filed an official complaint to the Central Election Commission claiming that violations, including illegal barring of monitors and assaults on them, took place at 120 polling stations out of 200. Fair Russia also claimed that at stations equipped with automatic ballot boxes, the results were in Shein’s favor (albeit by a narrow margin), concluding that the manually counted ballots must have been fixed. However, the local prosecutor’s office has issued an official statement that reads that the violations, though they really took place, did not seriously affect the results of the vote and thus did not violate the rights of Oleg Shein and his representatives. On March 16, Mikhail Stolyarov officially took the mayor’s post. Oleg Shein and 12 of his supporters went on hunger strike. Subsequently, more people joined them, while some quit the strike over poor health. At the moment some two dozen people are still fasting for Fair Russia’s cause. In the second week of the hunger strike, several fringe opposition figures turned their attention to Astrakhan and called on their allies to join the protest. 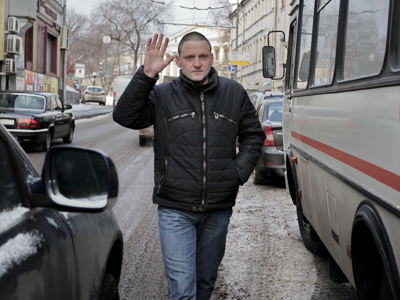 The leader of the Leftist Front movement Oleg Udaltsov and several of his allies started a hunger strike in Moscow to support Shein. 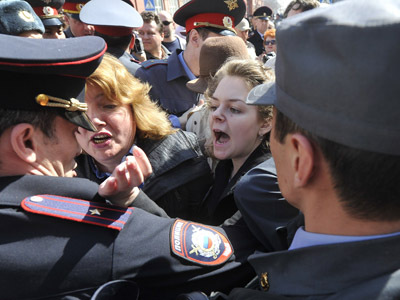 A street rally of Shein’s supporters in Astrakhan turned into an unlicensed march on Tuesday, with police intervening to prevent protesters from entering the Election Commission’s office. A few people were detained in the process. 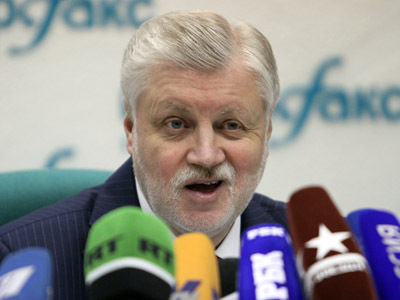 At the same time, it seems the activities of Shein and his supporters have brought results – on Tuesday the head of the Fair Russia party, Sergey Mironov announced through his microblog that the party had received the footage from the cameras in the ballot stations, and can now sue those who rigged the Astrakhan vote. Also on Tuesday, Fair Russia’s faction in the State Duma demanded that the lower house hear a report about the events in Astrakhan.